Baby Brandon has arrived! 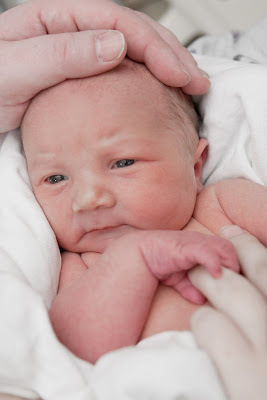 He arrived 3 weeks early, at 8:35 PM on Sunday January 31st, 2010, weighing 7 pounds, 14 ounces. He was welcomed by his "Big Brother" Logan, and his mommy and daddy. Baby Brandon was supposed to arrive February 18th, but after everything we did to hope for a normalish pregnancy (surgery at 13 weeks, weekly shots, dr. visits every other week, etc), I just couldn't do it the easy way... 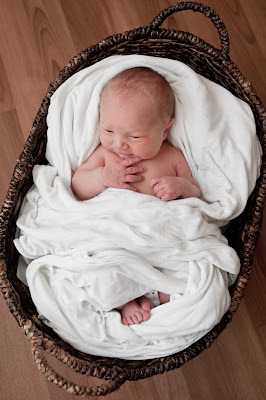 I came down with a "severe case of pre-eclampsia" and ended up in the hospital for an emergency C-Section the evening of January 31st. The good news - I got to sleep through the surgery because I was not stable enough, and they had blood on stand-by that was police escorted from Seattle with lights and sirens going (luckily I didn't need the blood). I got to spend a few extra days in the hospital, and my family has been very helpful (especially my husband, Logan, and my Mom) as I try to recover from both the surgery and the pre-eclampsia. They are still watching my blood levels and blood pressure, but I'm on the mend. I also still need to go in for minor surgery to undo the surgery I had at 13 weeks... I was not well enough for them to do it during the C-Section - drat! I'd like to thank all of you... readers, authors, publicists, etc for hanging in here with me as I've been missing for quite some time. THANK YOU!! Now - a question for you - have you experienced pre-eclampsia and gone on to have another baby?? I know it is risky, but possible with a lot of doctor visits.